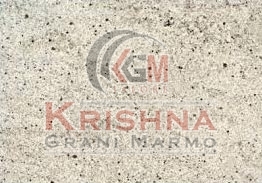 We bring forth a wide array of Kashmir White Granite Stone in different finishes. Our company is an unsurpassed Manufacturer and Supplier of Kashmir White Granite Stones from Rajasthan. The Kashmir White Granite Stones offered by us have high stain resistance and durability. Owing to our brilliant logistics network, we are capable of delivering bulk orders of the Granite Stones. The entire range of the Granite Stones is reasonably priced by us.